The 2018 Denver Post Pedal The Plains Bicycle Tour, presented by Viaero Wireless, is a great way to conclude Colorado’s cycling season. The 7th Annual PTP Tour, Friday through Sunday, September 14 – 16, will highlight three unique and welcoming communities: Kiowa, Bennett and Limon. Cyclists will have opportunities to meet alpacas, travel past wheat farms that supply wheat across the country, travel through Genoa to see the World Wonder View Tower (Day One Century Ride), partake in the Great Mustang Gravel 100 to see the Great Escape Mustang Sanctuary, pass by bison farms and visit the Paint Mines in Calhan. 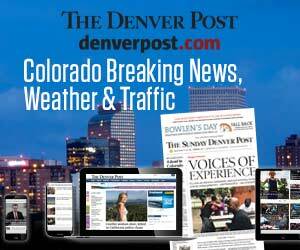 The Denver Post Pedal The Plains Bicycle Tour is produced in partnership with the Governor’s Office and the State of Colorado. 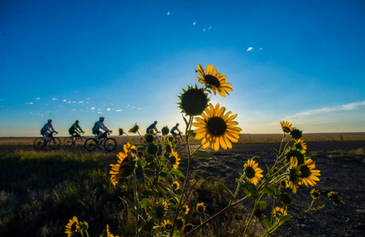 This one-of-a-kind annual cycling event began in 2012 and celebrates the agricultural roots and frontier heritage of Colorado’s eastern plains. Described by the Governor as “a ride for the rest of us,” Pedal The Plains seeks to engage riders of all abilities, from seasoned cyclists to first-time riders in an educational and recreational experience. 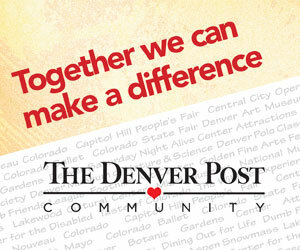 Proceeds benefit The Denver Post Community Foundation in support of the Colorado FFA Foundation and Colorado 4-H. For more information and to register for the Tour, click here. See more below.